MacGruber 2 Script Work Begins, But Will It Actually Happen? Garth: Wow. Look at this scrapbook. Garth: That's you with Led Zeppelin. Del Preston: Yeh. My old lady put that together. We must've toured every concert hall and venue in America. Me, my old lady, and the road. Wayne: Is that you and Bob Dylan? Who's that old lady? Del Preston: That's my old lady. 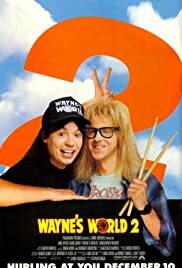 Q: What is Wayne's World 2 about? In general, sequels tend not to be such a good idea. There are many examples where a sequel has been utter rubbish and it is rare that a sequel can match up to its original, even if it is a good film. However, every so often a sequel comes along that can match its counterpart and even have some better points. Wayne's World 2 is a prime example of this. 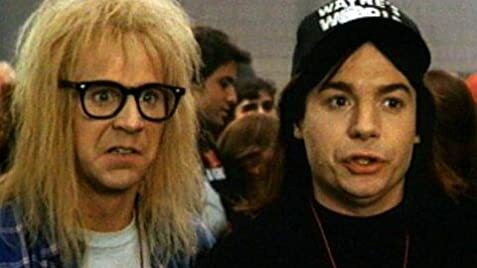 Mike Myers and Dana Carvey are back as Wayne and Garth and this time the embark on a quest to stage a concert in Aurora after Wayne is visited in dream by an all time great of the music world. Another strong plot and some great new characters to go with the originals make this film very watchable and there are possible even more laugh out loud funny moments than before.